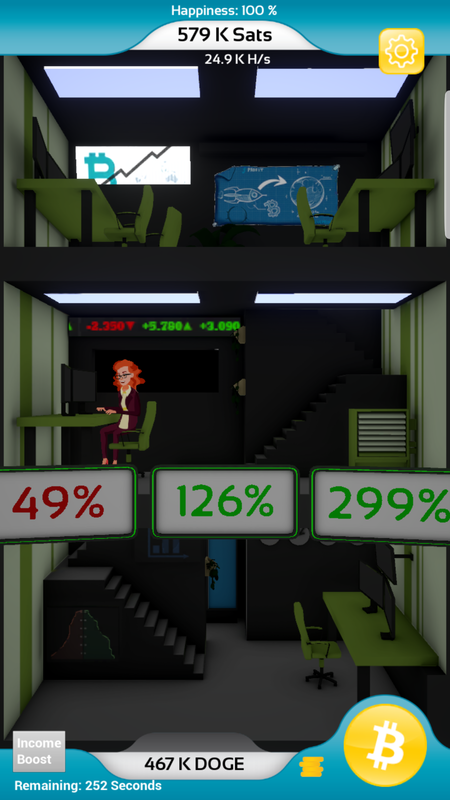 “Crypto: Mine and Trade” allows players to become the head of their own crypto empire, by creating an ever growing mining complex and becoming a master trader. 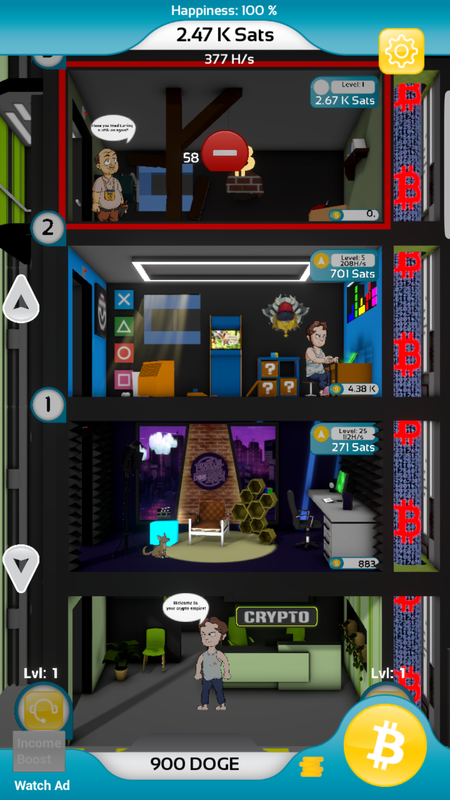 The player begins his effort by manually mining little amounts of cryptocurrency in his first small office and exchanging it at a strong exchange rate. With the then accumulated Bitcoin he can then advance and automate his mining process, thereby increasing the income of his company. 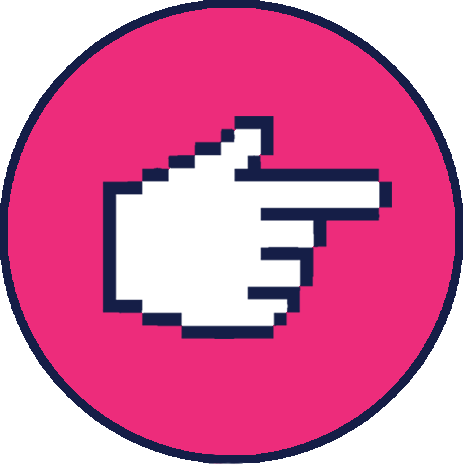 To optimise this process the player has several options to consider, from upgrading the Blockchain to increasing the happiness of his workforce. This mirrors the loop of traditional idle games and functions as the core of “Crypto: Mine and Trade”. But not only does it serve as the core, it also creates a strong fantasy through having strong mechanical metaphors for the real world workings of the crypto market. Allowing both crypto enthusiasts and a broader audience to experience the thrill of trading and mining, in an consequence free environment. Visually the game is based on the look of Fallout Shelter and Hustle Castle, both utilising stylised 3D environments in combination with expressive 2D characters to create a joyful, yet modern aesthetic. It is filled with pop and crypto culture references to entertain those who take the time to engage with the visual in more detail. As stated before the game is meant to be played by crypto enthusiast as well as a broader audience, more specifically the audience of idle games. It achieves this goal on multiple levels, with its familiar gameplay working as both a familiarity for idle gamers as well as a metaphor for the workings of the crypto market. 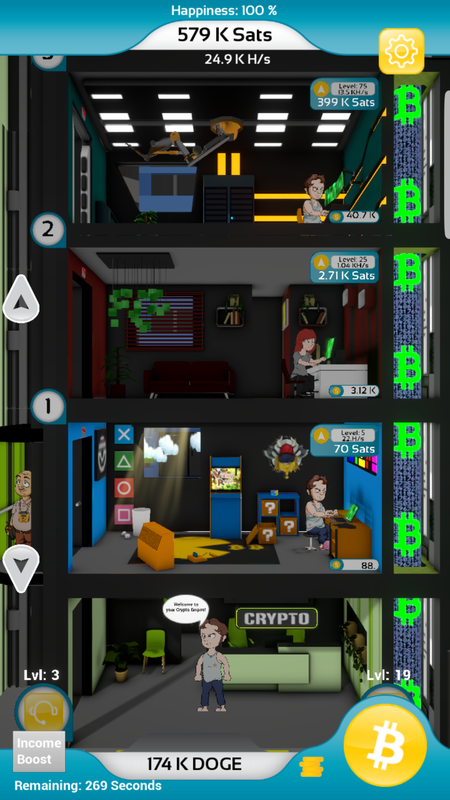 Also the visuals which incorporate direct references to the crypto community as well as broader pop culture references to appeal to idle gamers, which mostly consist of core gamers, thereby having a strong interest in pop culture. The game will release on both android and IOS and is developed with Unreal Engine 4 with an upcoming pre-alpha starting an open development process. 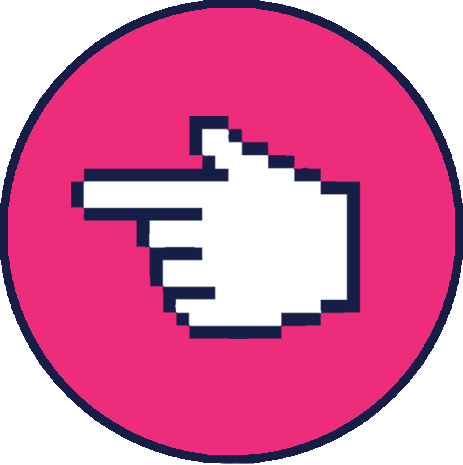 N-Gon Entertainment aims to deliver Virtual Reality Content and Applications of highest quality.